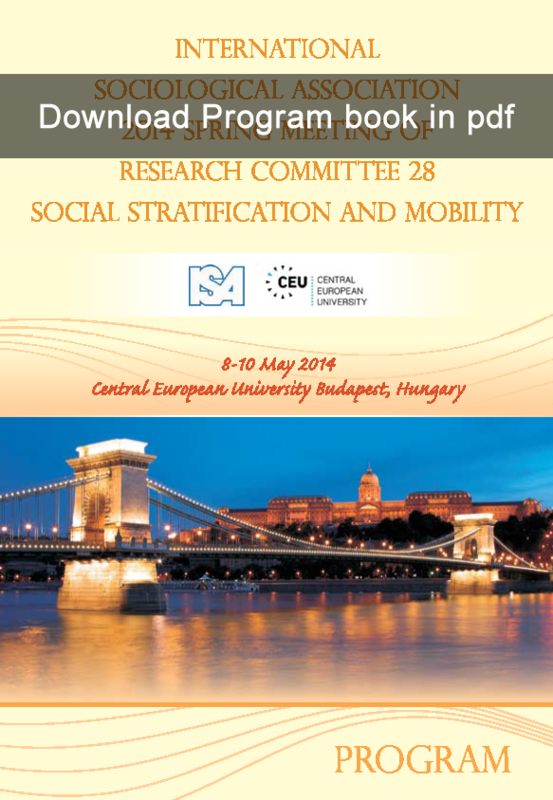 The Spring Meeting of the Research Committee on Social Stratification and Mobility (RC28) of the International Sociological Association (ISA) will be held in Budapest, at the Central European University (CEU), May 8-10, 2014. We invite researchers in this and any related field to submit papers and participate in this 3-day event. The conference sessions are organized to reflect the broadly defined conference theme: the changing patterns of social inequalities across time and context. Sessions will cover the ongoing research projects of RC28 members. The Program Committee will select papers of excellent quality which address persistent or newly emerging issues in social stratification and mobility research, or explore potential policy responses related to social inequalities at both the macro and micro levels. The regular fee for the conference is 120 euros; the fee for doctoral students and scholars from developing countries is 50 euros.